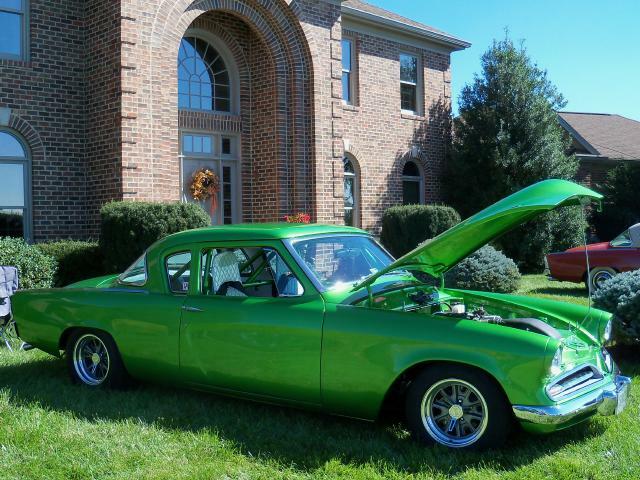 This beautiful 1953 Studebaker Starlight Coupe Street Legal Race Car belongs to Wayne Pennington of Vinton, Virginia. It was a Commander when new. As built, the car sits on an Art Morrison chassis and is equipped with four-wheel Wilwood high-performance disc brakes. 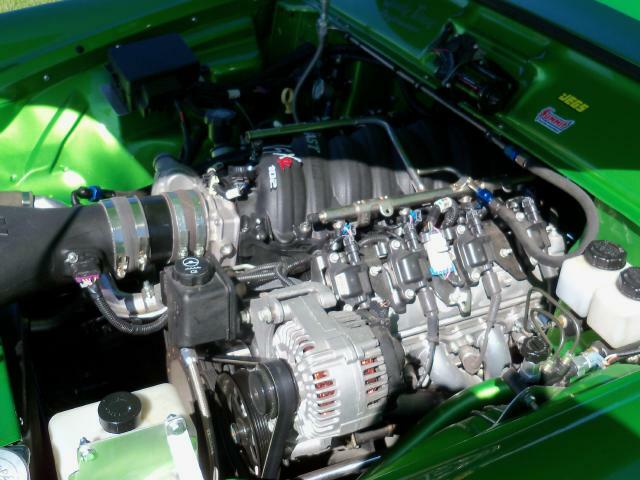 It is powered by a Chevrolet LS3 V8 racing engine driving through a GM L480E automatic transmission. 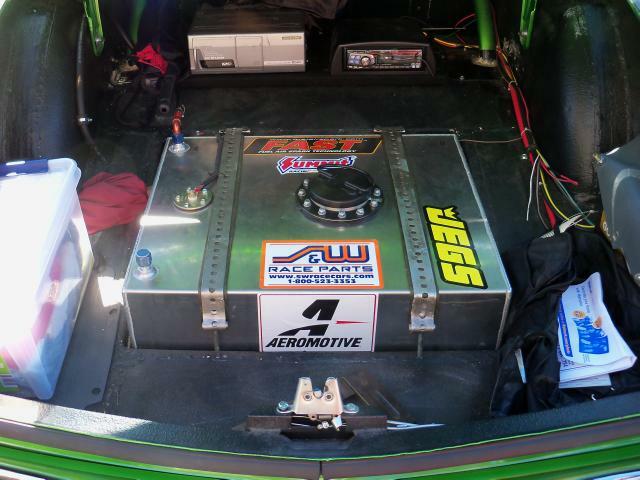 The engine has been on a chassis dyno and makes 560-570 hp at the flywheel and 450 hp at the rear wheels. Although it will be a daily driver, it is also designed for racing. It will be interesting to see how it does on the drag strip. 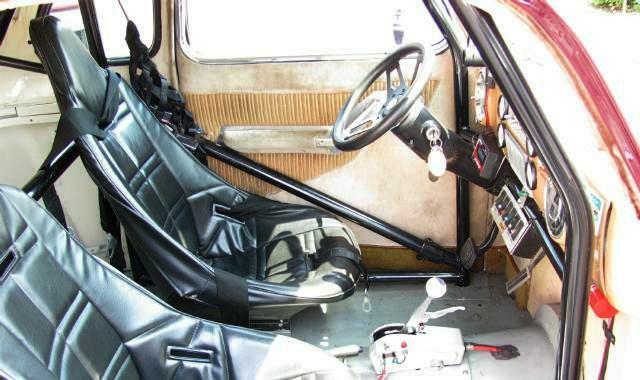 Most of the engineering and mechanical work and the 12 point roll cage was done by Larry Rathburn of the Allegheny Speed Shop in Catawba, Virginia. In all, it took about two-and-one-half years to build. 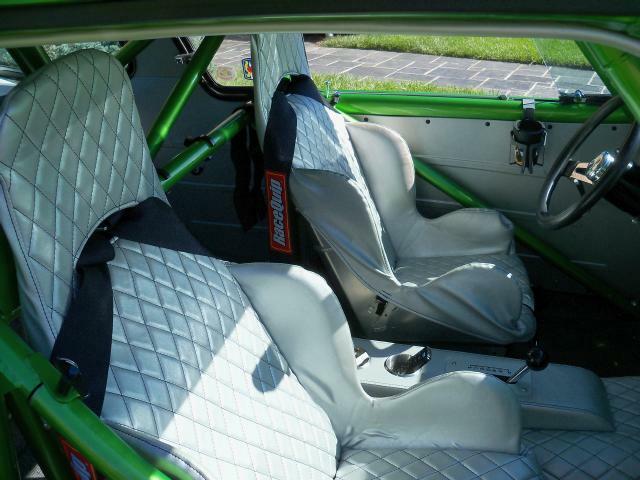 The seats are aluminum and the interior is race style. There are no body modifications except the hood and trunk emblems were removed. The car was painted by Jeff Bennett of Wide Open Customs in Roanoke, Virginia. The color is Fifth Generation Chevy Camaro Synergy Green Metallic. Here is a side view of this sharp machine. Wayne also owns a beautiful Prowler Orange 1953 Studebaker Champion Starlight Coupe Street Rod that appeared in the "More Cool Studes" section of this page in August 2010. Unlike his Synergy Green Starlight Coupe Race Car, the orange car has a chopped roof designed to remove the Studebaker Coupe front roof rise. 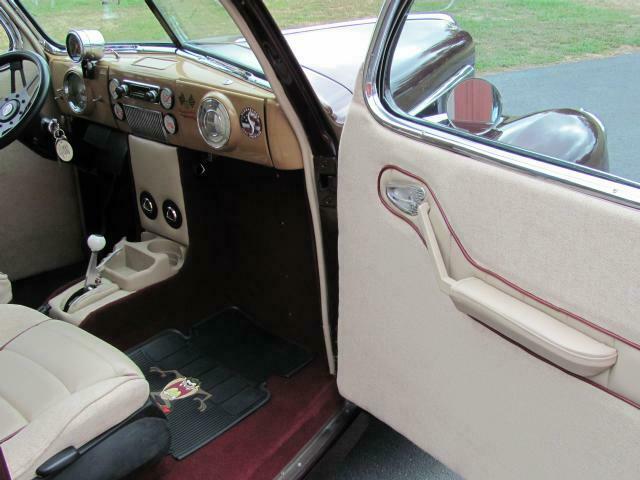 Also, it is equipped for luxurious cruising with a plush leather interior and air conditioning, rather than for racing. The orange car has been driven all over the East Coast. 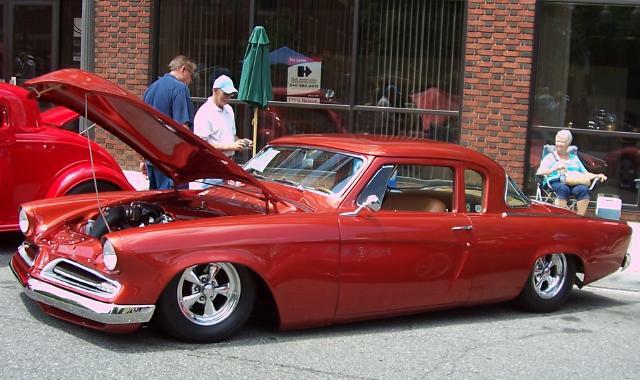 Thanks to Wayne for providing the information about both of his super Studebaker Starlight Coupes. 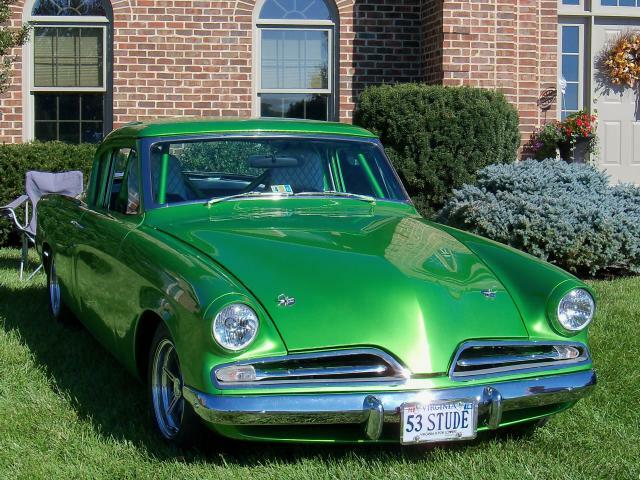 If you own or once owned a Studebaker or related vehicle and would like to see your car as "Stude of the Month" or in the "Cool Studes" section, or if you have other pictures or material that you would like to contribute to this page, please e-mail me here. I can accept either electronic or hard copy images. The Main Page is issued every other month so the next edition will be February 2016. This extremely rare 1930 Model GL Dictator Six Regal Tourer with T2 body is owned by Chester and Nancy Bradfield of Bridgewater, Virginia. The Bradfields purchased this car in June 2015 from SDC member Willis Spaulding of Essex Junction, Vermont. 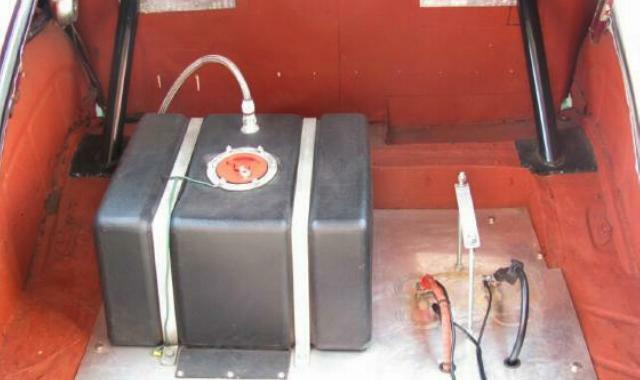 It is powered by a 221 cublic inch six cylinder engine rated at 68 horsepower. Regal models came standard with six wire wheels and a trunk rack. It has about 80,000 original miles on the odometer and is in beautiful condition. 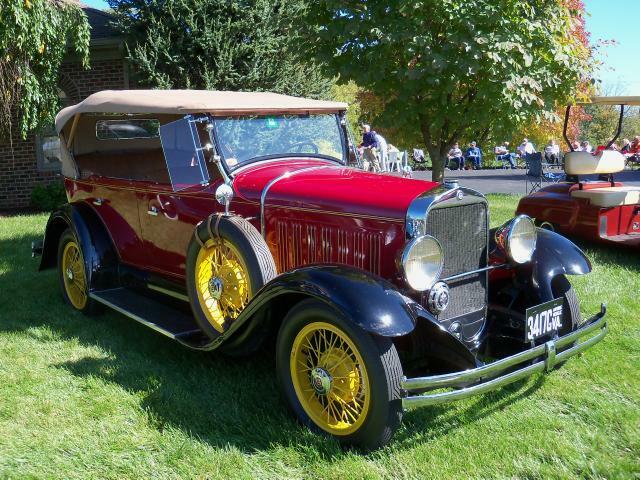 The car was purchased new in 1930 from a dealer in Waterbury, Vermont. 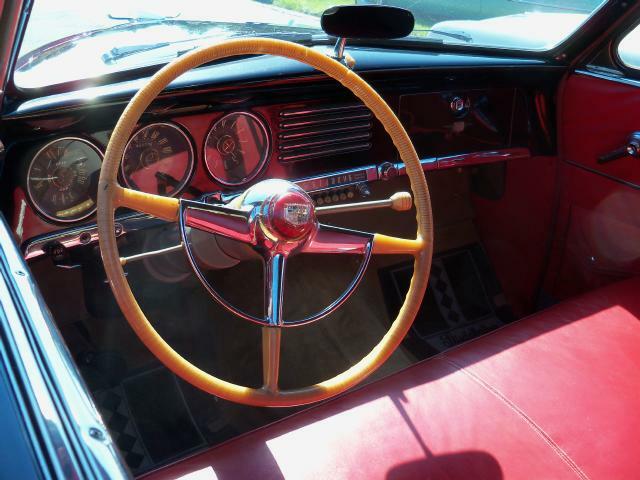 The Spauldings owned the car for over 50 years. Chester and Nancy are the fifth owners of the car. 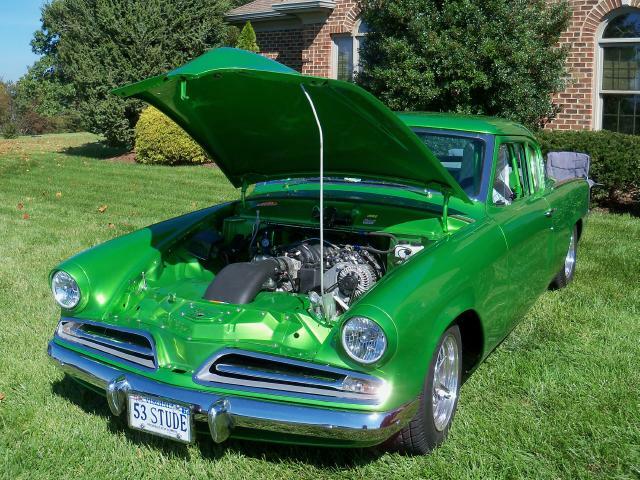 The pictures above were taken at the October 2015 Greater Virginia SDC "Studebakers d’Elegance" Meet held at the home of Chester and Nancy Bradfield in Bridgewater, Virginia. This annual event has no entry fee and no judging, just lots of interesting cars, typically from several states. 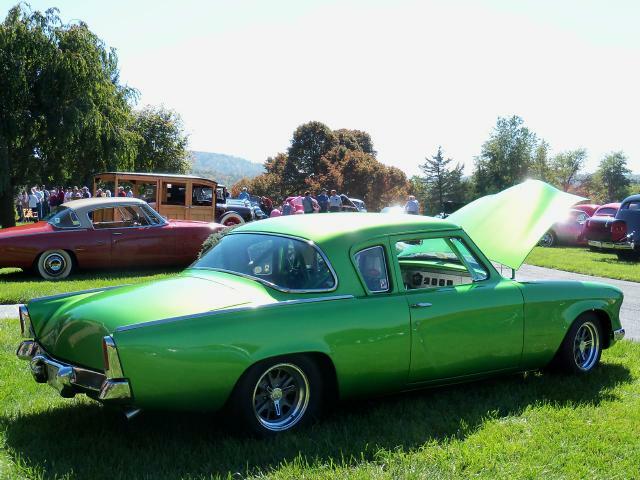 In addition to many fine Studebakers, the event attracted street rods from the Valley Cruisers and "Brand X" cars belonging to local AACA members. Thanks to Chester and Nancy for once again opening their home for this great event. 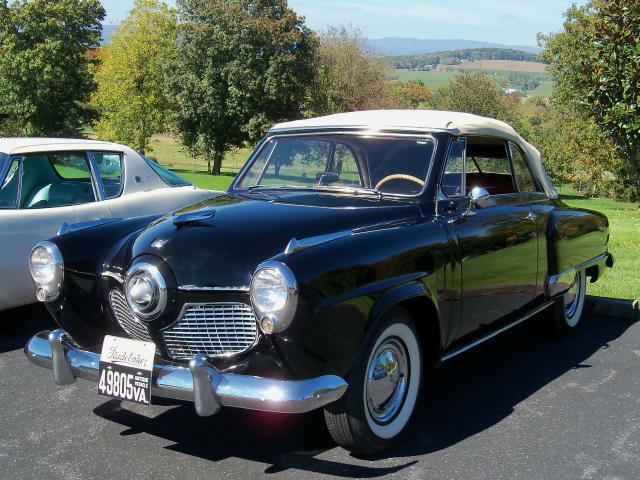 This beautiful 1951 Studebaker Commander Convertible also belongs to Chester and Nancy Bradfield. 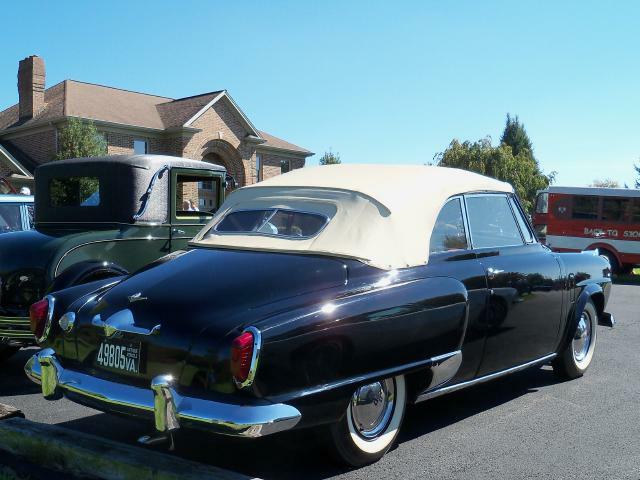 It is one of only 3,770 Commander Convertibles produced in 1951. 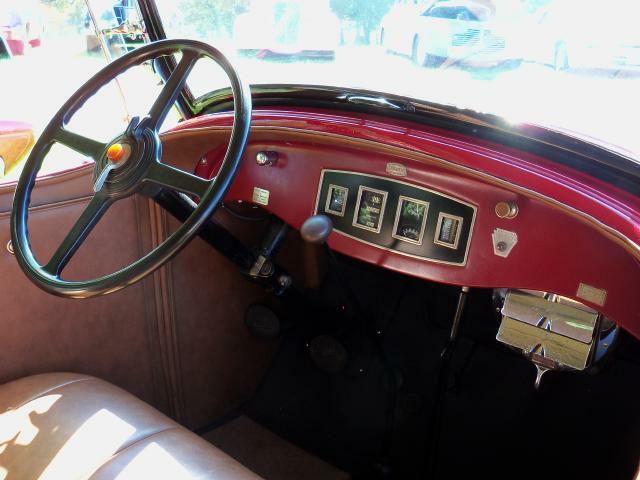 The Bradfield's Commander has a three-speed manual transmission with overdrive, factory push-button radio, and a red leather interior. This car was featured as Stude of the Month all the way back in September 1997. The car looked great then and if anything it looks even better now. Here is a rear angle view of this fine car. 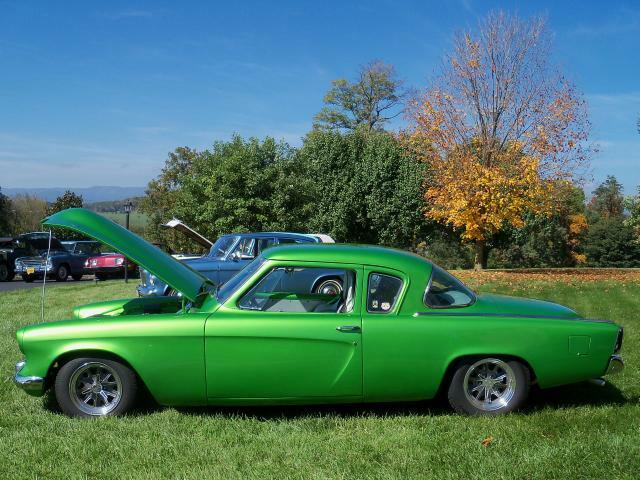 These pictures, as well as the pictures of Wayne Pennington's Starlight Coupe Race Car, were also taken at the October 2015 Bridgewater Meet. 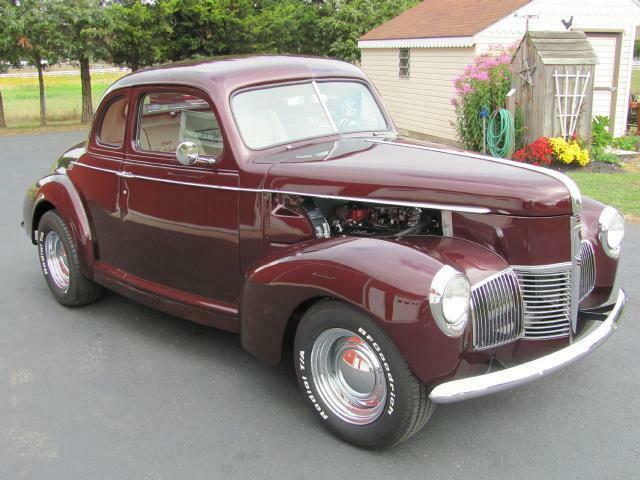 This sharp 1940 Studebaker Coupe owned by Les Harris of Pittsgrove, New Jersey was featured as Stude of the Month in February 2015 when it was in race car form. 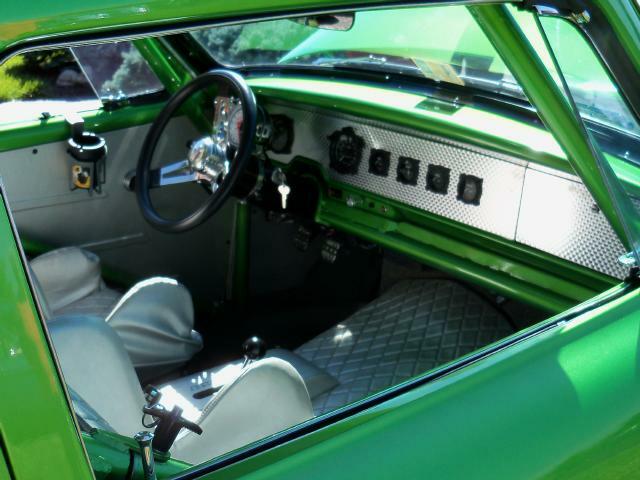 These pictures show the car after its conversion back to street rod form. 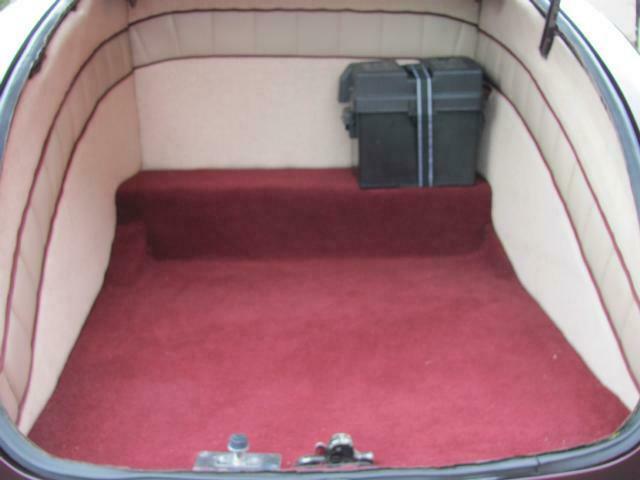 The fuel cell in the trunk has been removed and the trunk has been completely carpeted. The racing seats and roll cage have been removed and the interior has been redone with new seats. The upolstery was done by Allen Everwine. Gone are the 434 cubic inch small block Chevy V8 that put 620 hp to the wheels and two-speed Powerglide automatic transmission of the race car. 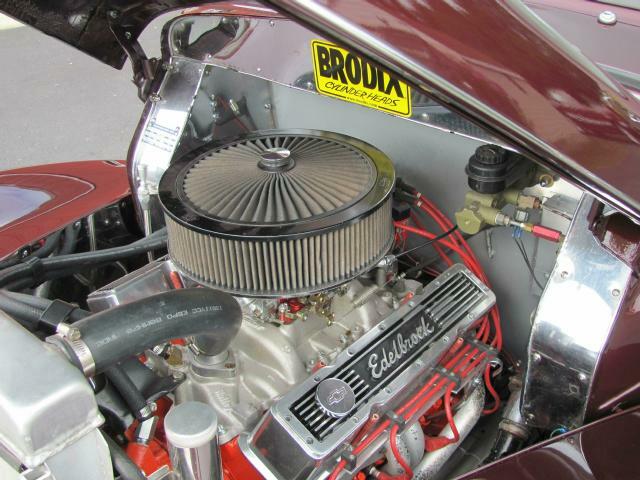 It now runs a Chevy 350 V8 bored 30 (0.030") over with double hump heads, a moderate cam with roller rocker arms, and a Holley 650 CFM mechanical double pumper carburator with electric choke. The transmission has been chabnged to a GM Turbo-Hydramatic 350 automatic connected to a 9" Ford rear end with 3.55 gears. 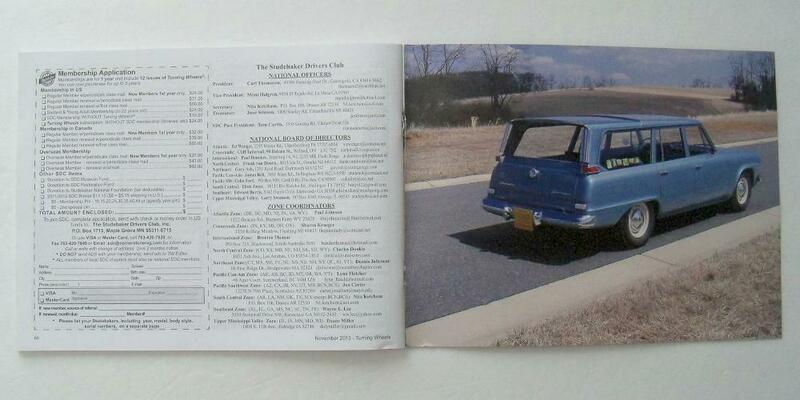 Les and his wife Alice own a beautiful 1955 Studebaker Speedster that was featured on the page in December 2012. 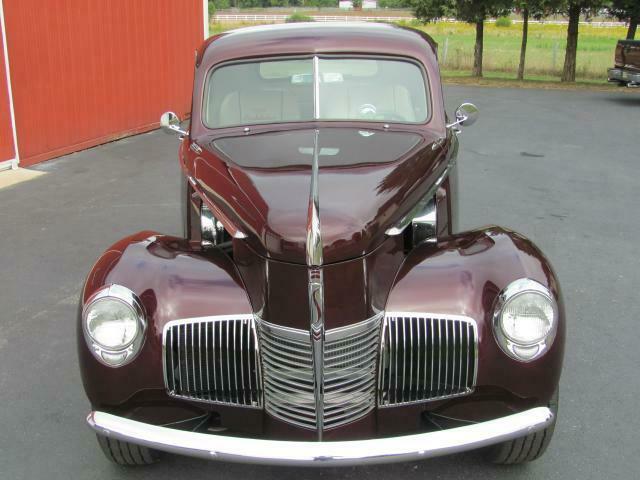 Thanks to Les for sending the updated pictures and information about his 1940 Studebaker Champion Coupe. 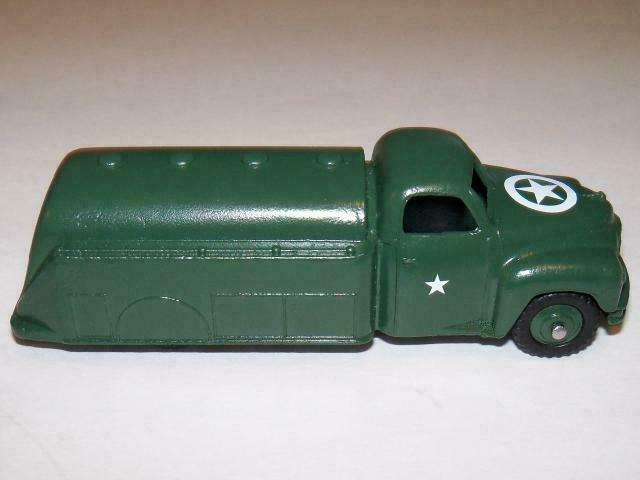 This Code 3 Dinky Toys Studebaker C Cab Tanker was nicely restored and converted to a military vehicle by Dave Costello of McHenry, Illinois. Dave removed all of the old paint and debris and repainted the tanker with several coats of military green paint. He also removed the base and painted the model inside and refinished the base in the standard black. The model was then reassembled using new rivets. The smooth style tires usually found on this model were replaced with the knobby style tires often used on Dinky military trucks. Here is a shot of the refinished underside of the model. A "Code 3" model is the refinishishing or alteration of the model without the authorization or consent of the original manufacturer. Code 3 models are becoming more popular and accepted as collectable. A growing number of restorers particularly in the U.K. and U.S. have been offering Code 3 models on eBay. Dinky Toys and Corgi are particularly popular as the basis for Code 3 creations. This has grown to the point that eBay recognizes Code 3 models as a separate category of diecast collectibles. 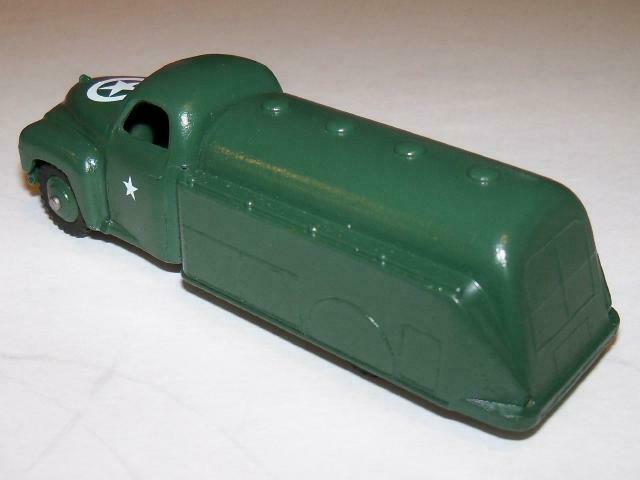 The Studebaker Tanker is a favorite of Dinky Toys restorers and it is often found in non-origional versions. 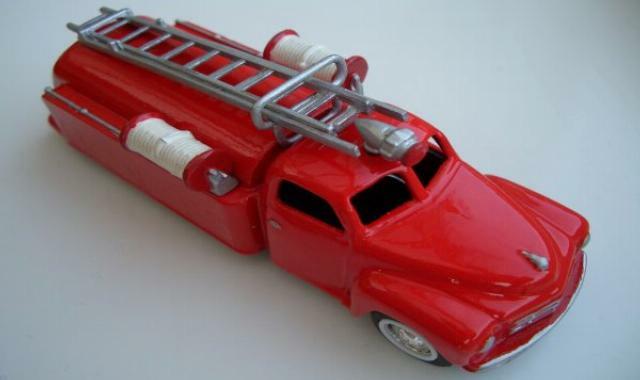 Here is a Dinky Studebaker Fire Tanker conversion that was Stude Toy of the Month in April 2010. 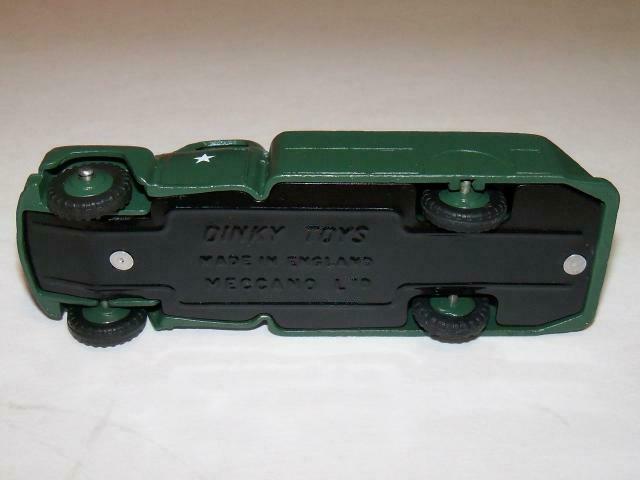 It is also common for restorers to make military models of Dinkys that were not issued in military form. 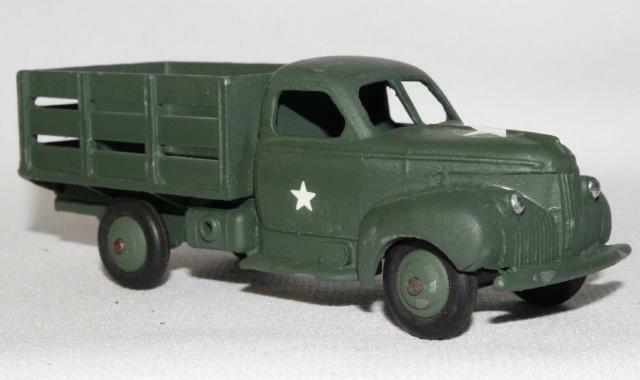 For example, here is a Dinky M Series Military Stake Bed Truck that was recently listed on eBay by a vendor in France. This model is a French Dinky but was not issued by the factory in military form. Dave Costello sells his restorations on eBay for around $25 which is a bargain considering the time involved and the quality of his work. 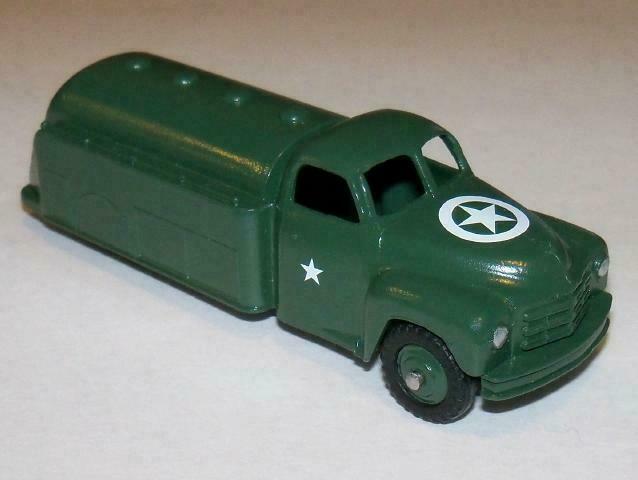 I purchased this Studebaker Military Tanker from him about a month ago and have since purchased a restored Dinky Toys Ford Army Staff Car from him.